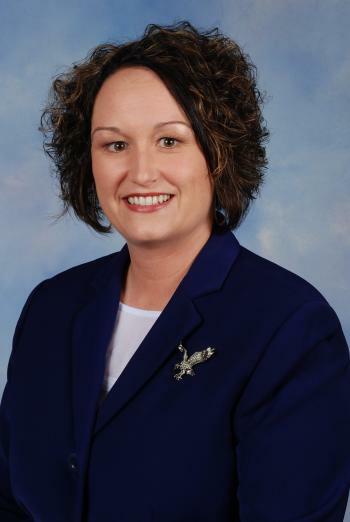 Michelle Barrow, native of Newton County, is a graduate of Stephen F. Austin State University where she completed her Master of Education degree. She also earned her teaching certifications for grades 1-8, a Master Reading teacher certification, an English as a Second Language endorsement, a principal certification, and a superintendent certification. Michelle has served as president of the Mu Theta chapter of Delta Kappa Gamma education sorority, president of Newton Lions Club, and chairman of Newton County Fair Buyers Committee. Employed at Newton ISD for the past thirteen years, Mrs. Barrow has taught on both the elementary and the middle school campuses. She served as an assistant principal at the elementary school, and as principal on both the elementary and the high school campuses. Her last position before becoming the superintendent was Assistant Superintendent for Priority Learning. Looking forward to leading Newton ISD, Mrs. Barrow's plans include focusing on effective teaching, providing high quality professional development for teachers and concise planning. Developing life-long learners is a goal that all staff will embrace as Newton ISD fulfills its motto, “Learning Today Leading Tomorrow”. Mrs. Barrow intends to assist Newton ISD in bringing more career paths to students at Newton High School. These career paths will be focused on employability and post secondary education. It is her goal to generate a rigorous curriculum giving students the chance to excel as they enter into the 21st century. She is also working to create a stronger school and community relationship. Mrs. Barrow and her husband Bric Barrow are life-long residents of Newton, both completed their secondary education at NISD, and both have a deep love for their hometown. Newton ISD is where they intend to school their three active little boys Zane, Chett and Trace. Mrs. Barrow is using her formal education, her work experience, and her community education as a springboard for the greater good of Newton ISD. An educator, a community member and a Newton ISD Alumni, she is committed to growing our school. Utilizing every resource available for both staff and students, she plans to develop and enrich the learning environment for students of NISD!